Costumes are great fun, and this time I have decided to create the deadly Poison Ivy costume. The last time I dressed up was at Elf Fantasy. (click to see) The Poison Ivy for my inspiration is the Bruce Timm version. I am not going to make it exactly the same, but with my own twist to it. So let's get started! 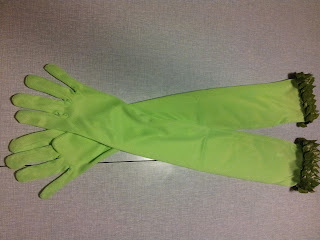 I purchased a red wig and green gloves. 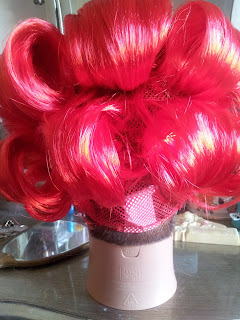 It was really cheap, and maybe one day I will buy a better quality wig since this one isn't very dense. The gloves themselves have a perfect color so no need to change that. 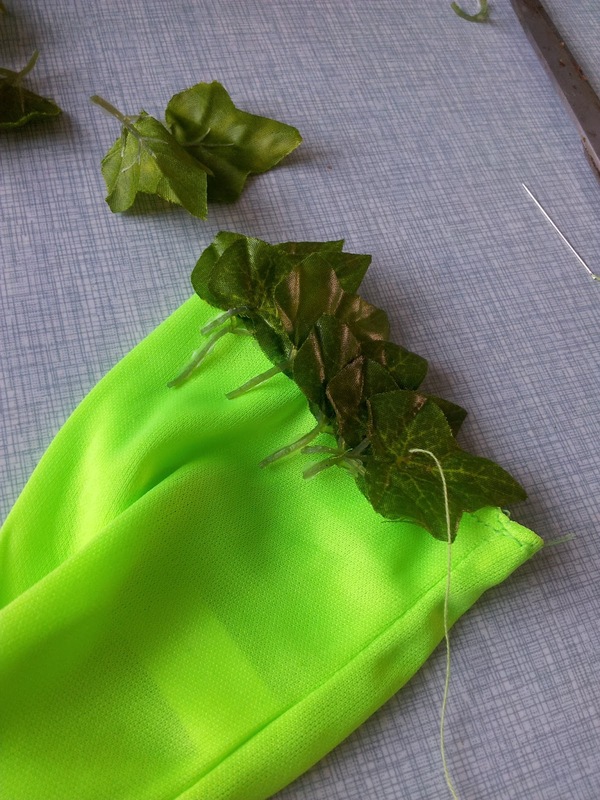 I got a strand of fake ivy and cut off some leafs. 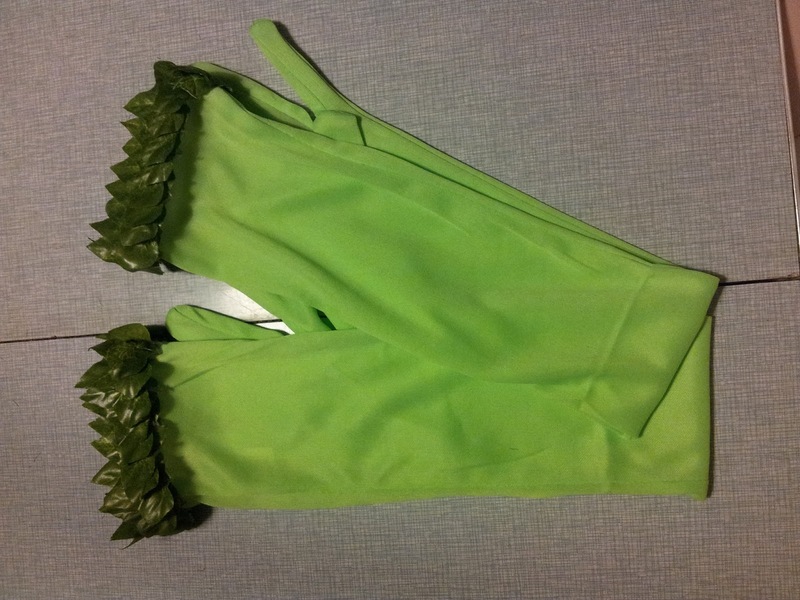 I sewed them on the gloves by hand, it was fairly easy to do. 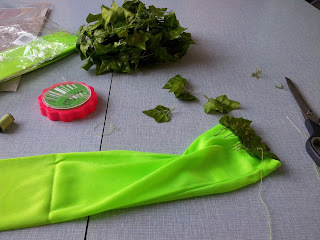 You have to make sure to keep the material stretched because if you sew them on too tight the spandex can't stretch anymore. The next things I need are: a dark green leotard, a pair of light green tights and dark green boots. When I got those I will post the next work-log. Thank you for reading!